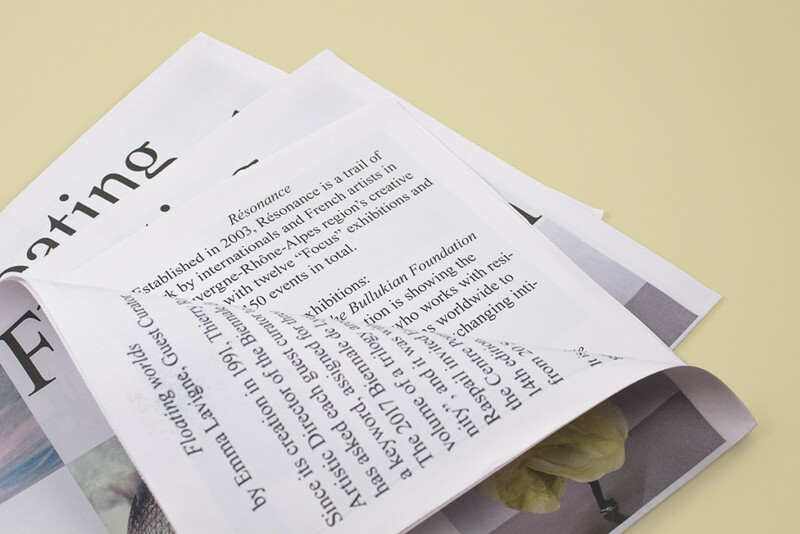 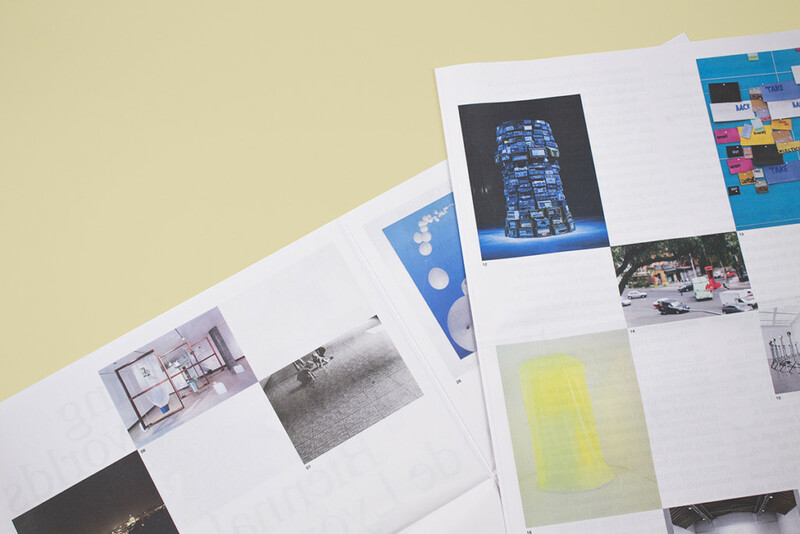 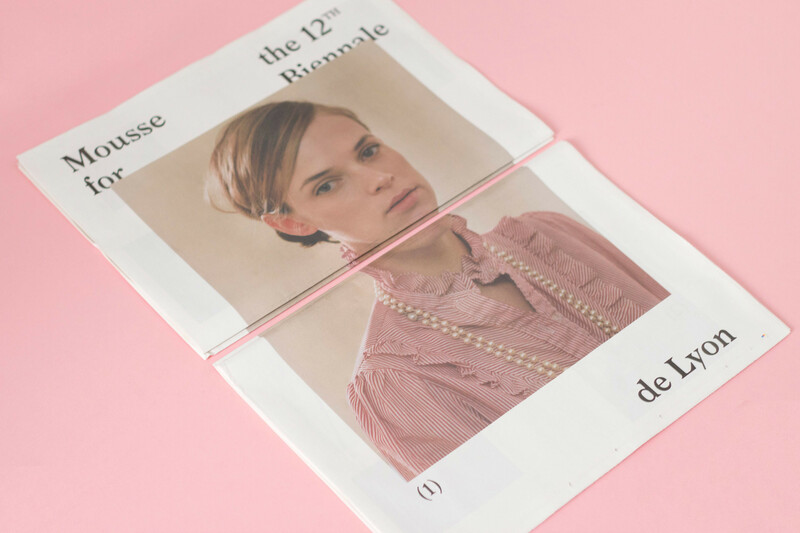 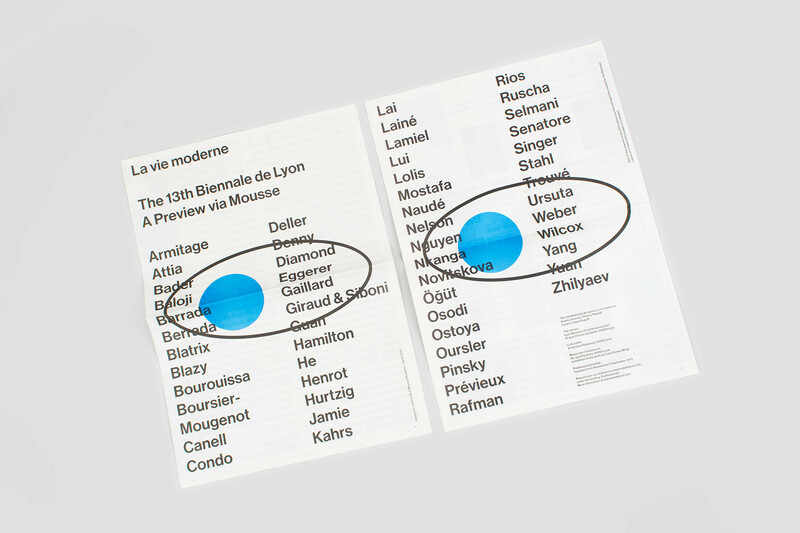 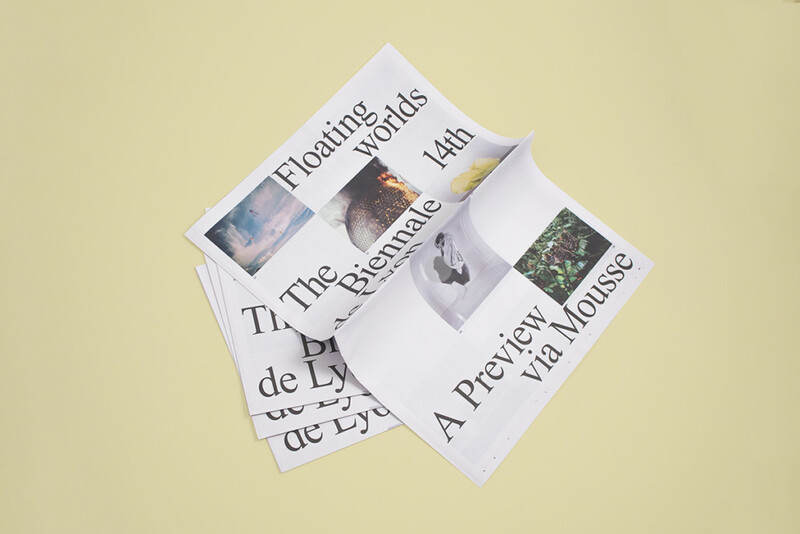 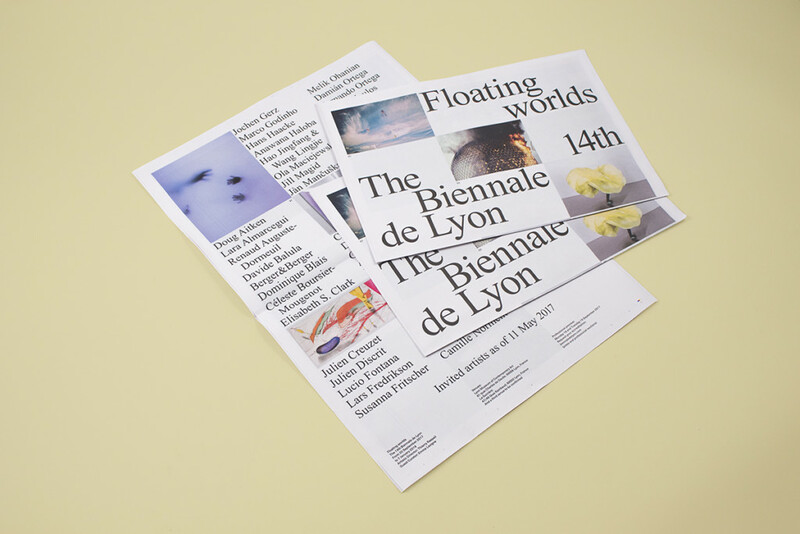 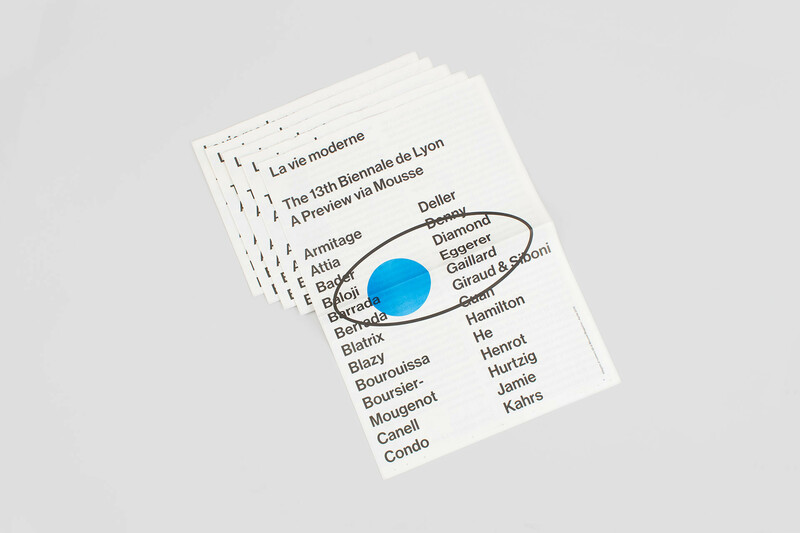 Mousse was commissioned to create a newspaper announcing the 12th, the 13th and the 14th editions of La Biennale de Lyon. 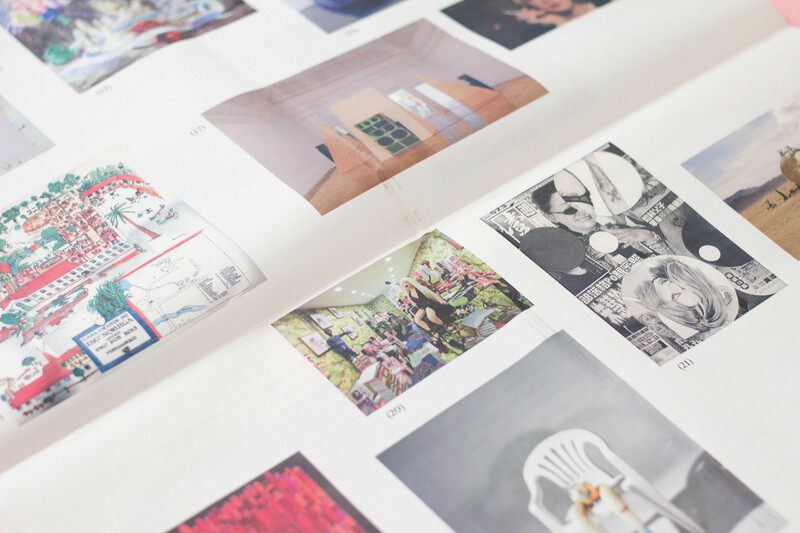 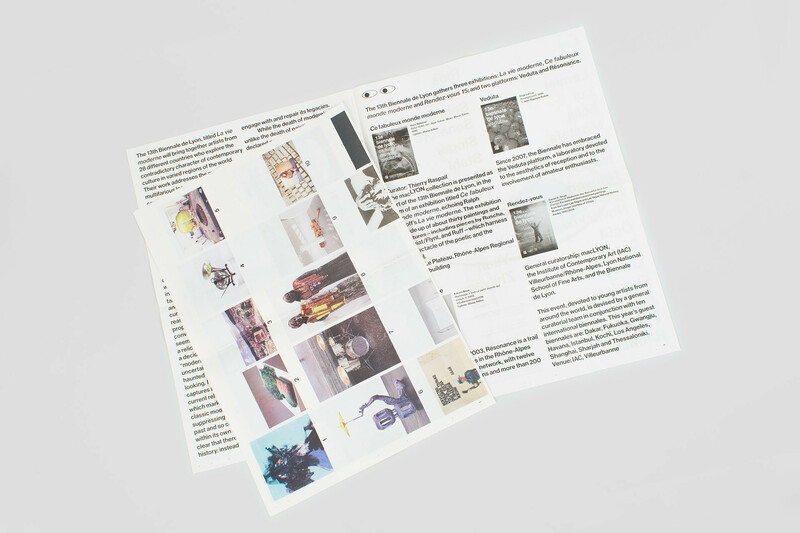 The idea was to dramatically convey the impact of the two pieces of information available at the time of publication: the list of artists and the curatorial statement. 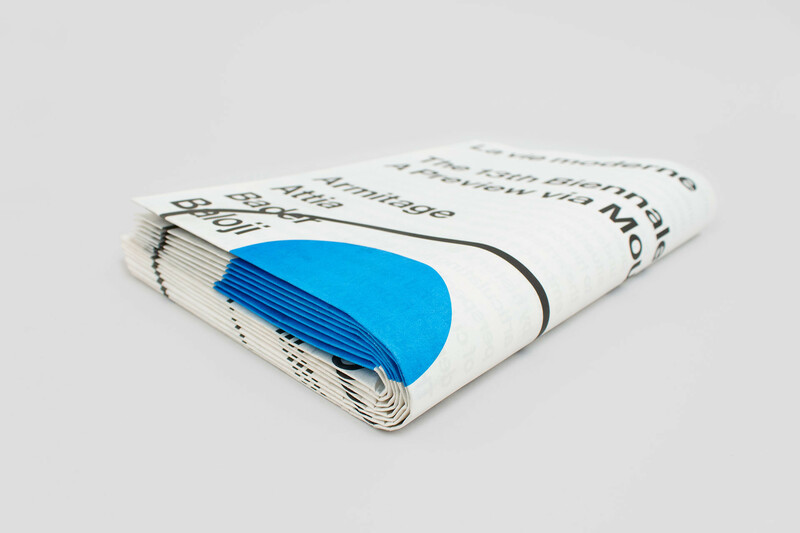 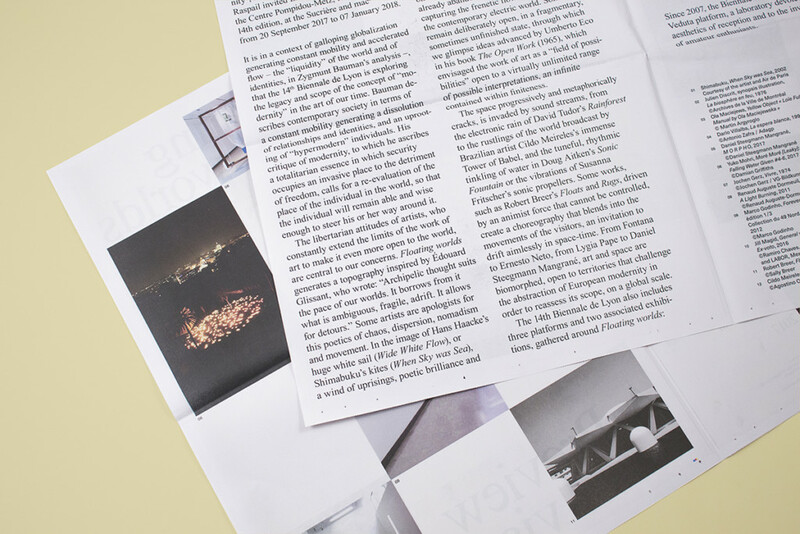 The size of the publication was boosted to the biggest broadsheet available. 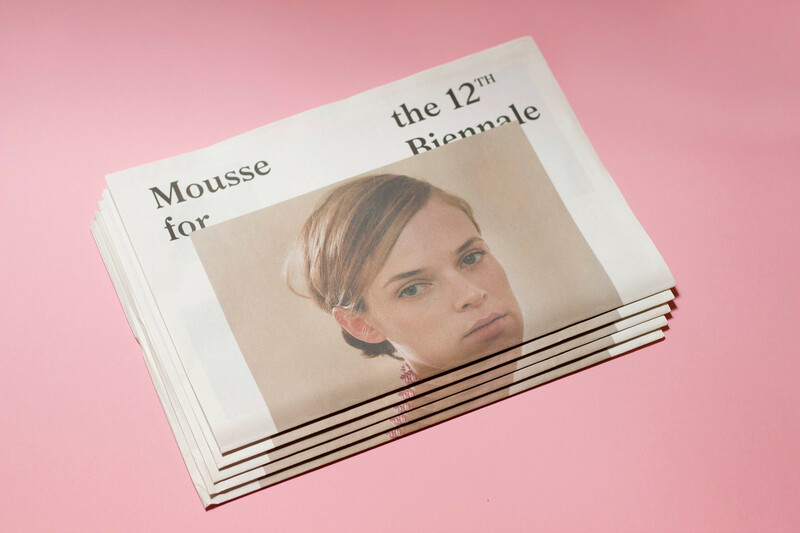 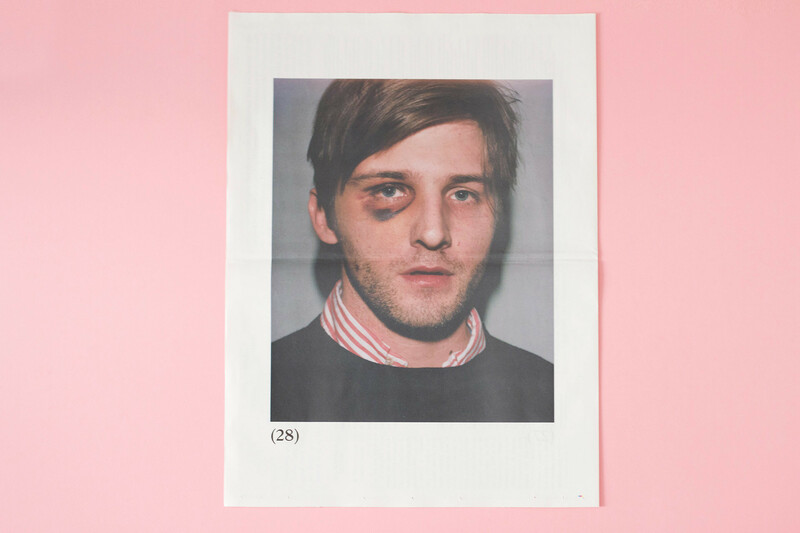 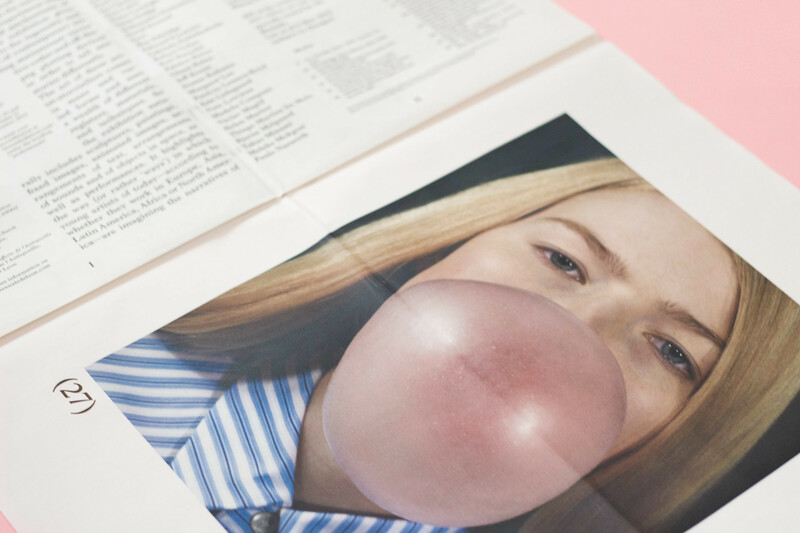 This oversized gazette was distributed free during the preview of the Venice Biennale, in 2013, 2015 and 2017.